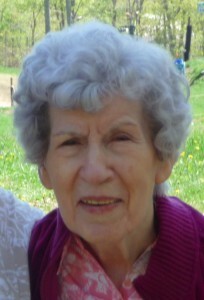 Mary Eleanor Rowell, 87, formally of Canton, died, November 25, 2012, at Hospice House of St. Mary’s, . Calling hours will be Friday, November 30, 2012, 4- 6 PM at the funeral home. Funeral mass will be Saturday, December 1, 2012, 11:00 am, at St. Mary’s Church, Canton, Father Doug Lucia officiating, burial will follow in St. Henry’s Cemetery, DeKalb Junction. Eleanor is survived by her sons, Anthony and wife Carla Rowell, Piney Point, Maryland, Thomas Rowell, Montrose, New York, daughters, Linda Reuss, Crewe, Virginia, Rachael Hadeler, Parkridge, New Jersey, a brother, Harold Lowery, DeKalb Junction, sisters, Ursula Coffey, Hermon, Eileen Derusha, Raymondville, Kathleen Goria, Nyack, New York, seven grandchildren, many great grandchildren, several nieces, nephews and her cat Maggie. She was predeceased by a son Michael Rowell, brothers, John, Patrick and Leo Hand. Eleanor was born on March 31, 1925 in Depeyster, New York, the daughter of John and Katherine McHugh Hand. She graduated from DeKalb School and married Mervin K. “Bud” Rowell. She worked as a clerk at Letchworth Village and was an operator for New York Telephone. She was a communicant of St. Mary’s Church and St. Henry’s Church and was a Eucharistic Minister. Eleanor was passionate about politics, and enjoyed music, watching movies, and the news. In lieu of flowers donations can be made to the Hospice House of St. Mary’s, 44724 Hospice Lane, Callaway, MD, 20620. We are so sorry to hear of the loss of Tony’s mom. We know how hard it is to lose a parent. Please know our thoughts and prayers are with you at this difficult time. I am so sorry for your loss. I will keep your mom and your family in my prayers. We are so very sad to lose our wonderful Mom Rowell.She wasloved so much. The comfort is in knowing that we have another guardian angel watching over us.We love you and pray the God will comfort you in you time of sorrow and that you have a safe drive to and from NY.Our thoughts wil be with ALL of you! We are so sorry to hear about Tony’s mom. Keeping you and your family in our thoughts and prayers during this difficult time. My Dear Sister Linda,brother Tony,Carla and brother Tom, I am sadden for our loss.I thank you Tony and Carla for taking mom in when you did.My dear loving Linda by her side as well I wish I could have hugged you. Sorry to hear of your loss. My thoughts and prayers are with you. Tony and Carla , our thoughts and prayers go out to you and all the family.